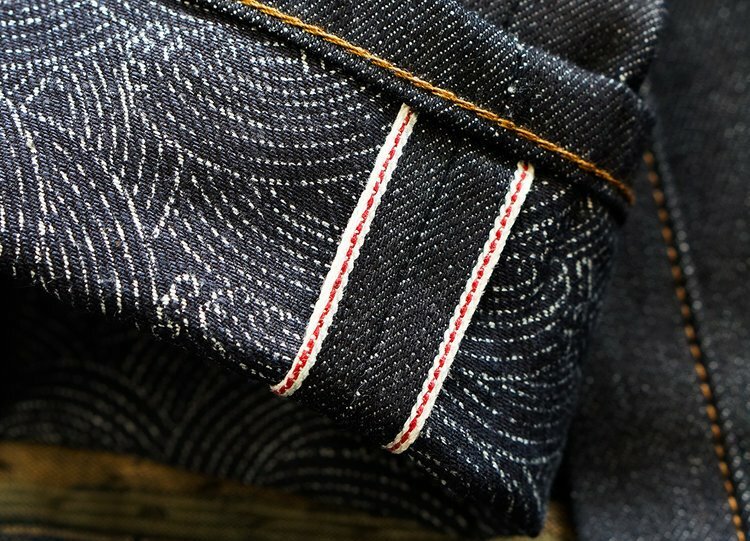 After the successful launch of the Benzak BDJ-01 Cowboy Jacket, made of their special #2 fabric, the brand gave it a follow-up. 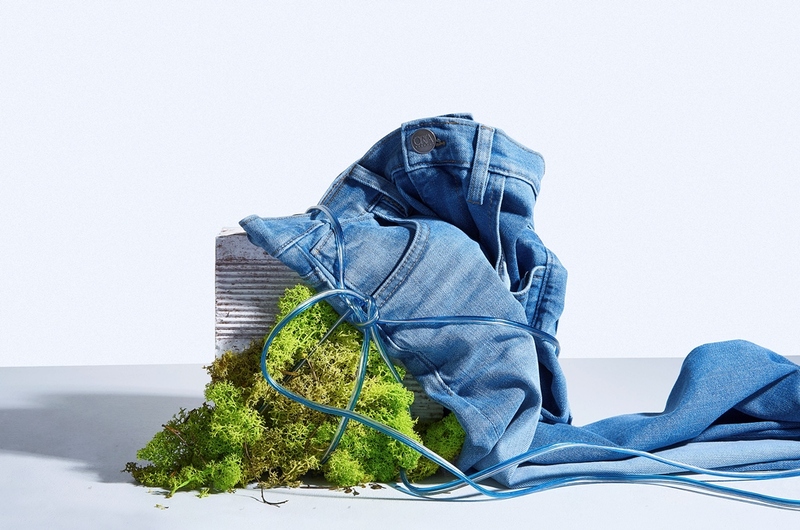 The second denim jacket by the brand is the BDJ-02 Rider Jacket Industrial Blue Selvedge. 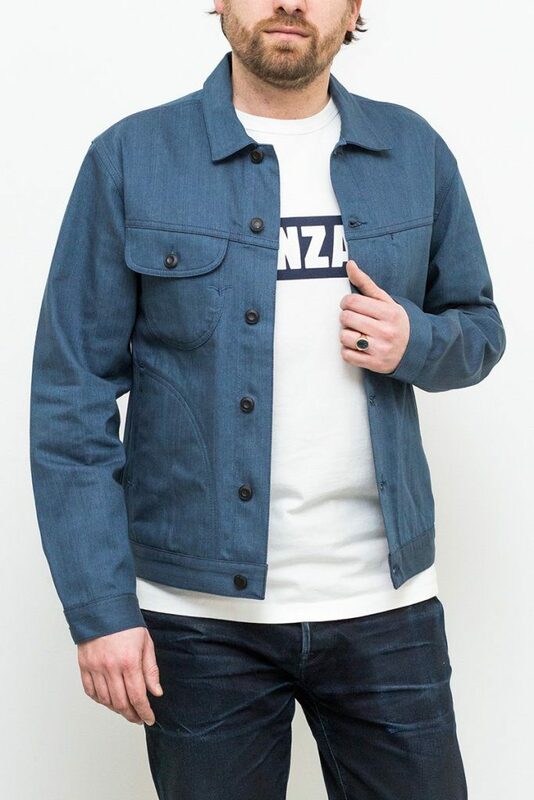 This jacket is a rider style, so based on a classic biker style jacket but with a Benzak flavor. 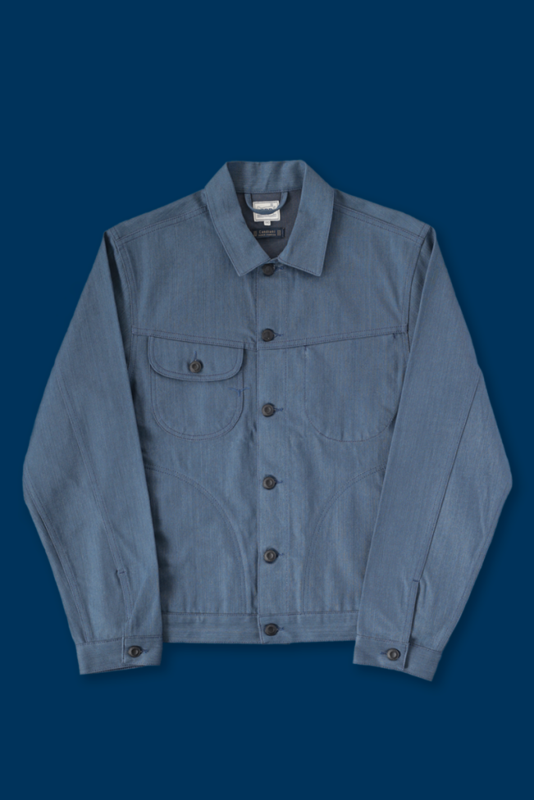 The fabric of the jacket is 11oz sanforized right-hand twill with a special petrol dyed warp that refers to the typical worker style look. The weft is dyed in a greyish tone that adds more character to the outside of the fabric. 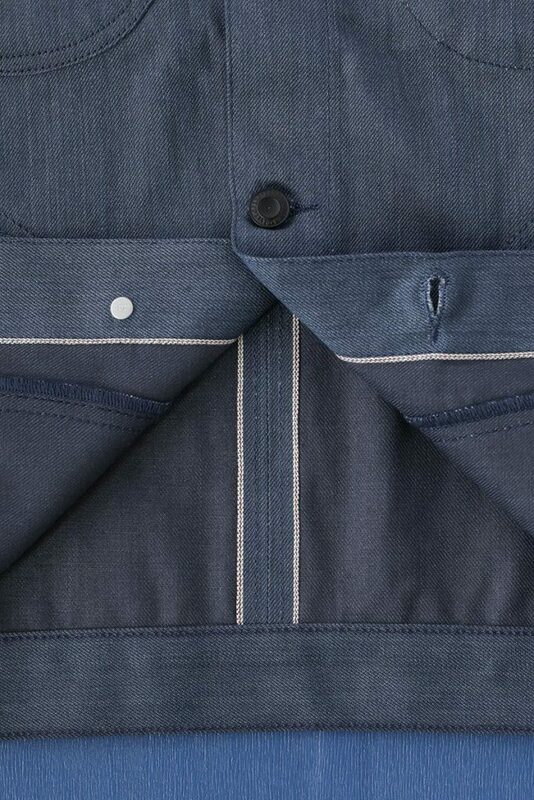 This weight (oz) and look of the fabric is perfect for jackets. 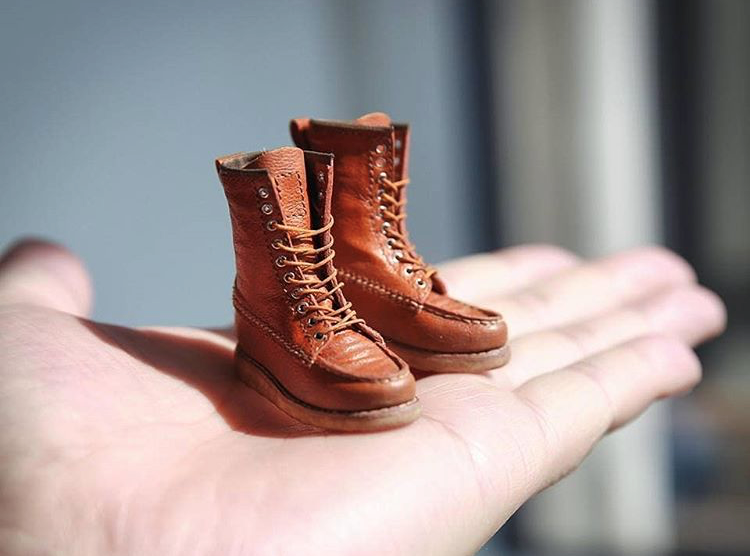 It’s woven by Candiani from Milan, Italy. 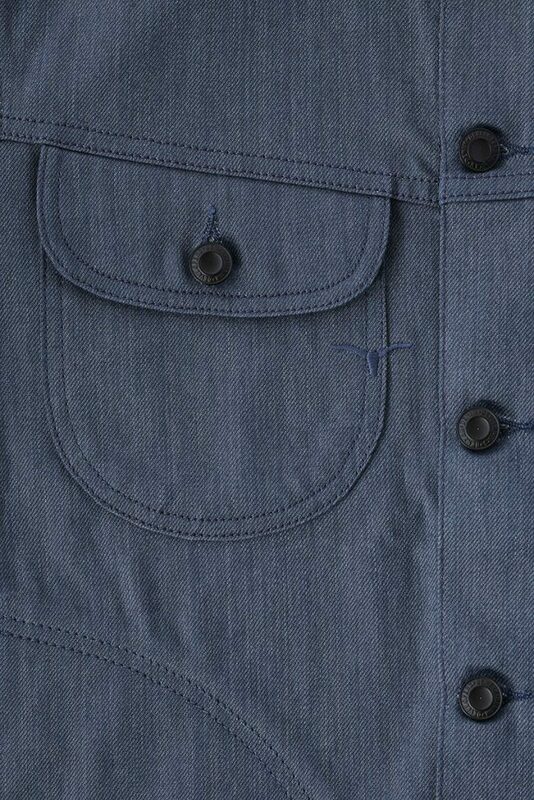 The BDJ-02 Rider Jacket Industrial Blue Selvedge has two chest pockets, one of them is a hidden pocket. And it has two lower pockets to keep your hands warm. The fit is classic, so regular. 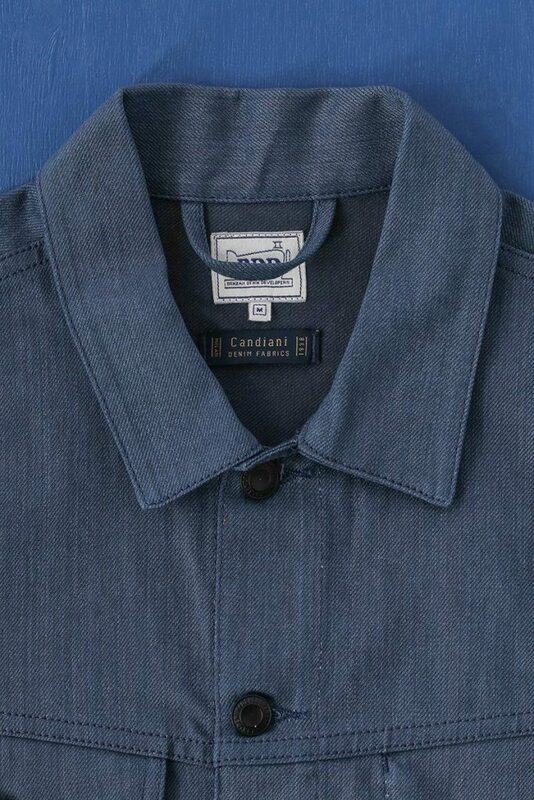 On the jacket is an indigo dyed yarn woven bull embroidery that symbolizes the brand. 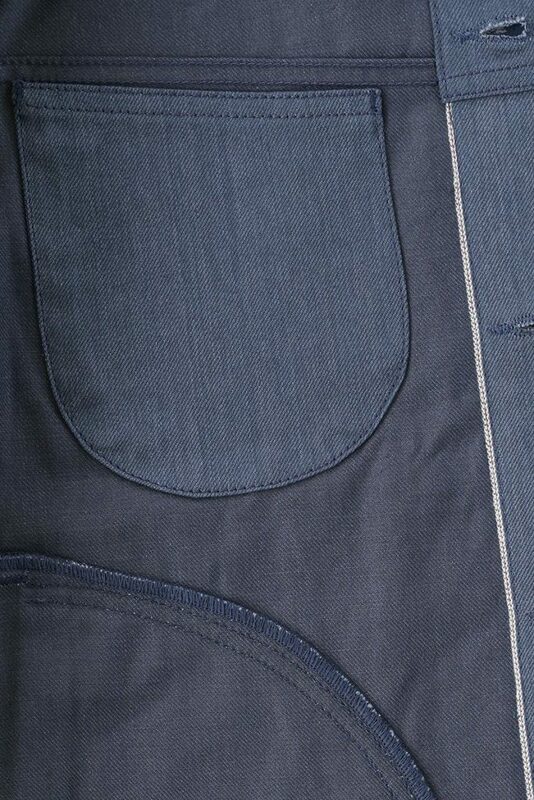 On the closure are black buttons which are a perfect match with the unique colored fabric. The jacket is produced in Portugal, like the rest of the Benzak European collection.